Just after the Second World War in a little village on the German border, a stranger is assassinated. Brodeck, who normally works with observational descriptions of fauna and flora for administrative purposes, is called upon by the villagers to write up a report on the facts leading up to the event. So Brodeck starts writing. Being an extremely conscientious man, he is determined to relate everything he sees. Little by little the truth comes to light through his pen, and a dark drama begins to unfold, a drama of villagers capable of the worst acts when motivated by fear, a drama of the cruelty of men and collaboration. 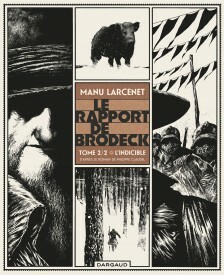 Brodeck begins to uncover the tracks of the guilty party, of group crimes and of individual responsibility. He is incessantly aware of the ambivalence between his obligation as a writer, and the community that has urged him to his task whilst simultaneously being terrified of the power of his words. 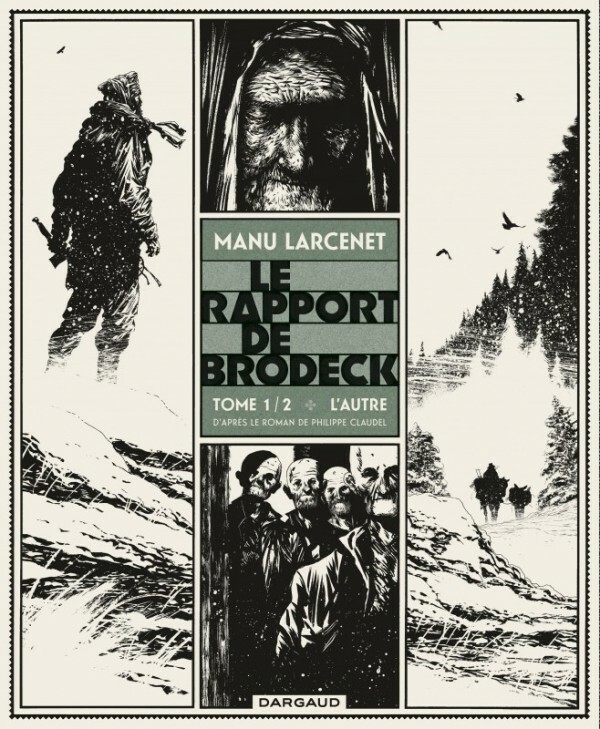 Based on Philippe Claudel’s masterpiece, “Le Rapport de Brodeck”, this is Manu Larcenet’s first ever novel adaptation. 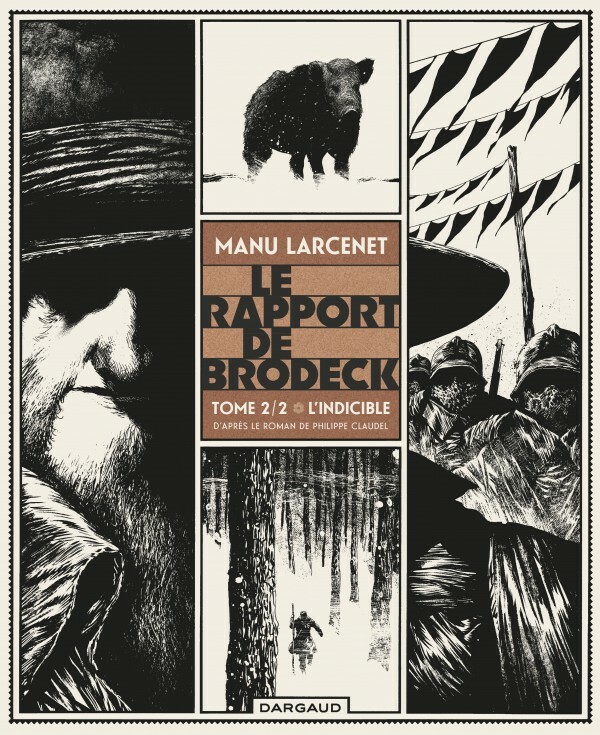 Whilst the author of “Blast” and “Le Combat Ordinaire” has appropriated the text, he’s managed to make it truly his own, giving it a whole new life; brilliant, dark and tragic. This is a work of stunning beauty, with the wild extremity of nature as a backdrop to the smallness of man, diving into the abyss using sublime and violent black and white. A must-read which questions the sense of otherness and confrontation of the group.